A television series about the first female player in Major League Baseball? Of course it premieres in 2016, the first year we have a credible chance of electing a female president. No coincidence there. But when I watched the pilot episode on demand, I was pleasantly surprised. First of all, the show is filled with supporting actors that I love seeing on TV. Bob Balaban (Best in Show). Dan Lauria (The Wonder Years). Mark-Paul Gosselaar (Saved by The Bell…okay, Franklin & Bash). Mark Consuelos (Kelly Ripa’s husband). And the star of Pitch, Kylie Bunbury, is up for the task. I like her. And I’m intrigued by her character’s story (and the pilot episode’s big twist). I do worry, though, that the pilot was a bit too complete — how many stories are left to tell? I guess we’ll see if we stick around — wait for the baseball metaphor — for extra innings. 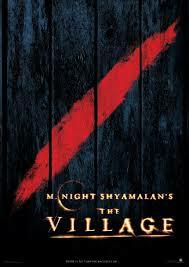 I had the opportunity to watch The Village again over my lunch hour today. Okay, it went a tad over an hour. After director M. Night Shyamalan’s huge hit The Sixth Sense, critics never really seemed to like any of his other films, including The Village. But I loved it the first time I saw it in the theater, and it held up on the second viewing, too, even though I already knew the famous twist. Plus, I was reminded of the wonderful performances by Bryce Dallas Howard, Joaquin Phoenix and William Hurt. So, if you initially dismissed it because it wasn’t The Sixth Sense — and let’s face it, there isn’t going to be another one of those — I urge you to give The Village another chance. ‘Cause it takes a vill…okay, I’ll stop. I saw a movie trailer at the theatre last night that looked so good, I didn’t want to see the feature anymore. Have you heard about The Conspirator? 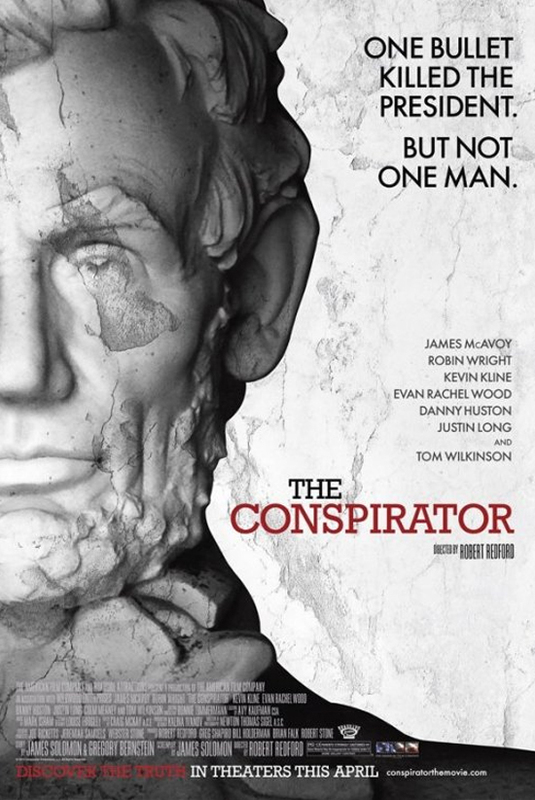 Directed by Robert Redford, the film tells the story of Mary Surratt, the lone female charged as a co-conspirator in the assassination trial of Abraham Lincoln, and the reluctant lawyer who agrees to defend her. Based on that description, you may think, “Huh. Historical drama. Could be interesting, could be mind-numbing.” But wait until you hear the lineup of actors Redford has assembled. Robin Wright as Mary Surratt. James McAvoy as her lawyer. (It’s about time he returned to the screen. I know he was a voice in Gnomeo & Juliet, but that doesn’t count.) Tom Wilkinson. Kevin Kline. Evan Rachel Wood. Jonathon Groff. Stephen Root. Danny Huston. Justin Long. Alexis Bledel. Heck, it usually takes a lame movie like Valentine’s Day to get that much talent in one room. But McAvoy and Redford together? Hell, that’s a movie event! Come on, April 15th — tax day never looked so good!